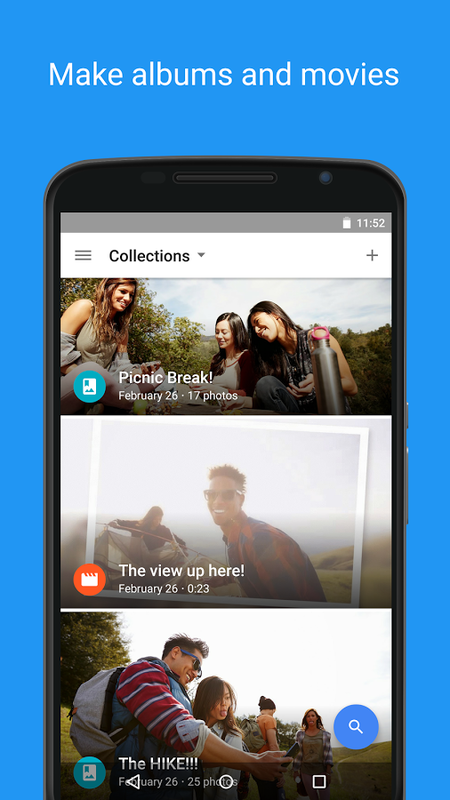 Google Photos is the ideal place to store all your photos and videos and easily find them and sort them according to the people, places and the most important things. Thanks to its innovative system of identification you can search your photos by the people, places and things that appear in them. You don’t need to have a description. If it is a photo that you were in Paris or you were eating sushi, you just have to search for “Paris or food” and them will appear. Also all your files backup automatically and you will be able to have access to them from any device. You can choose from unlimited storage on the cloud or share your google account storage of 15 GB. So you can lighten the load on your device without having to delete photos to make room. 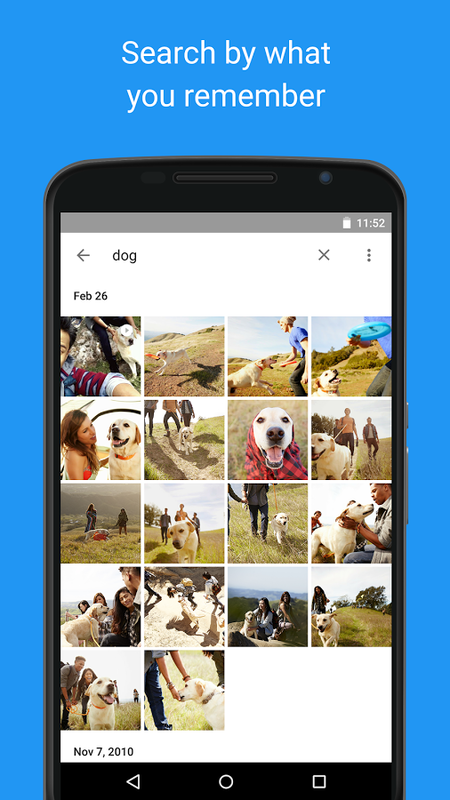 With Google Photos you can automatically create movies, interactive stories, collages, animations, etc … Transform your photos with just a finger with simple and powerful tools for editing photos and videos, you can apply filters, adjust color and more. And now with Google Chromecast you can show to all your friends in the comfort of your TV. Google photos has a feature that allows you to view the photo on your mobile before displaying it on the screen, so you can avoid sharing private photos. Excellent isn’t it?